It's been a while since I posted a Space News roundup! A number of major stories have already been posted to the Science & Nature section of the forums, not least New Horizons Pictures of Ultima Thule, China lands on the dark side of the Moon, and Repeated radio bursts from Space. The image above is near-Earth asteroid SD220, which came close enough over December to be imaged with radar (see image above): Holiday asteroid imaged with NASA radar. It's also possible that the big object that knocked over Uranus is still lurking in the solar system too far for us to see, said Green. It would explain some of the orbits of the planet and fit with a theory that a missing planet X is circling the sun well beyond Pluto, he said. In fact, more planets forming around young stars than expected: Unknown treasure trove of planets found hiding in dust. It's not all good news, though. We now know that red dwarf stars - the most numerous in our galaxy - may be one of the most common places to find planets. Unfortunately, current simulations suggest we're unlikely to find conditions favourable to life as we know it: Young planets orbiting red dwarfs may lack ingredients for life. Continued observations have also led to the discovery of a new dwarf galaxy orbiting the Milky Way: Enormous dwarf satellite galaxy of Milky Way discovered as well as Three new open clusters discovered in the Milky Way. In fact, Nearly a third of all galaxy clusters may have been previously unnoticed. Meanwhile, modelling appears to account for the development of two-thirds of observed binary stars: How do stellar binaries form?. Which begs the question of what process was behind the other third? There were more gravitational wave detections in 2018. So many new ideas about old things. Saturn's water matches ours which probably means our idea of where the inner/outer boundary of the solar system is farther out than was thought. Maybe there is a lot of stuff in what was thought to be empty space past Pluto. Like an enormous flock of dwarf planets, at least one large planet, and an Earth sized planet if it didn't blow up when it hit Uranus, tilting it over. Maybe glancing blows are more common than realized, something big comes in and instead of total destruction it glances off instead of plowing headlong into the object. 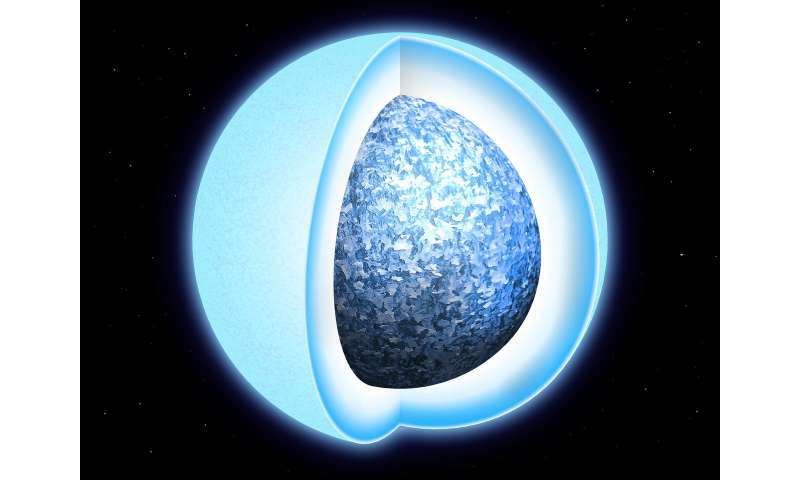 Dwarf stars have solid crystalized cores, maybe that's where dilithium crystals come from. The Earth's core contains possibly a small crystalized solid center, perhaps when the Earth cools down, it will have a huge crystal inside of it, coated with a rock crust that gets blown off when the Sun blows up, it might survive and wander through space. Now the Milky Way isn't flat, just like the Earth isn't flat, with so little around us maybe we are in a empty zone between two peaks. Went looking for a map of dead stars only which was a total bust, for real stars anyway, but found an interesting equirectangular projection of the night sky in galactic coordinates of Pulsars, Gamma Ray Bursts, Super Novas. It shows the entire sky as visible from Earth with the Milky Way Galaxy running through the middle of the screen. I don't get the alignment, I could use a you are there arrow. It's a time based display (move cursor to move through time) of the discoveries of Super Novas, Gamma Ray Bursts, and Pulsars, starting in 1895. The pulsars range from 0 to 250,000 light years away. Gamma ray data starts in 1977. Gravitational waves making a comeback, about time. t's not all good news, though. We now know that red dwarf stars - the most numerous in our galaxy - may be one of the most common places to find planets. Unfortunately, current simulations suggest we're unlikely to find conditions favourable to life as we know it: Young planets orbiting red dwarfs may lack ingredients for life. Once these planets cool down after formation, they may very well be deserts. However, isn't that exactly what is theorized happened to Earth - hence "water from icy comets"? Not all system will have identical planetary constituents, nor are you guaranteed that a Jovian world will oblige you and do what the above model suggest! See for example the numerous Hot Jupiter systems. There was an article a while back that said the there was a lot more water locked up in the crust of the Earth and it goes far below the surface, than the water on the surface. The water locked up in different minerals far below the surface is proof that it exists but doesn't say how it got there. It seems unlikely the water locked in the crust got there by comets striking the Earth building up oceans of water that then gets folded into the crust by the cycling of tectonic plates as they travel from the surface to deep inside the crust. The comets are definitely adding new water to the system. One question could be is it possible that the cycling of the plates from under the crust back to the surface bring up water from within the crust. 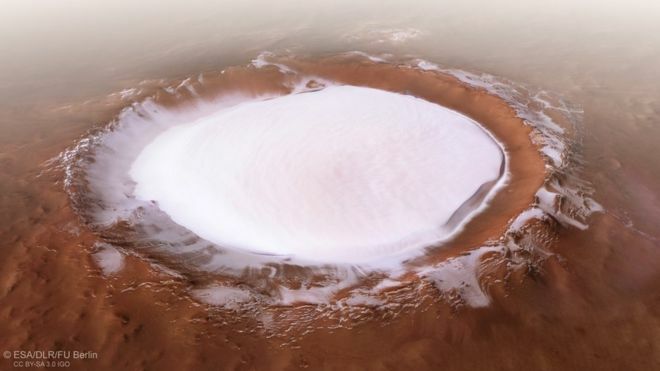 Over a period of time that could release water to the surface. In its early stages the plate movements could have been cycling a lot faster than they are now. The atmosphere could have been thinner making it much colder and condensing any water that came up from the depths. Perhaps water planets are born with water which has to be squeezed out. If it wasn't locked up so tight it wouldn't make it past the solidification process. So long as the core is molten and the plates are still moving, the fact that there is still far more water under the crust might make it possible for it to come back out again. Perhaps planets that get all their water from comets would have to be in the crossroads of comet paths, getting struck endlessly. I? think that would be rare. Another question would be how many of the planets have minerals that have water in them. I don't think we are anywhere near close to be able to determine the geology of the planets we are discovering. Water filled planets could be rare, the norm, or random. The mineral content could be one factor that determines if a planet will be capable of supporting life. The tectonic flow of rocks folding and unfolding releasing and absorbing substances could be more like the polished flows of origami than just brute conveyor belt random crushing and melting and recycling whatever is available. Then there is the question of how many different life forms are that are not based on water. What would that kind of mineral base look like. Folding molecules could possibly mechanically create living systems that no need for water, only the ability to harness energy so it can continue to recreate itself.